Since my daughters school doesn't do Kindergarten Gradations (LAME!) I took the matter into my own hands and decided to do something for her at home. 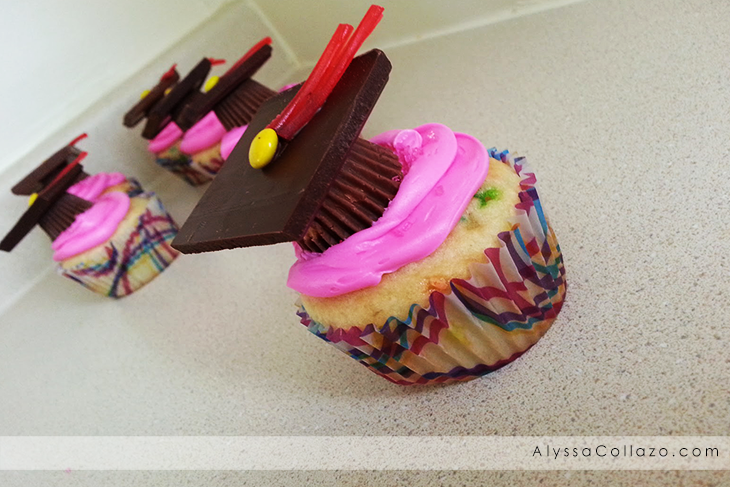 After hours and hours on Pinterest I found the cutest idea, Graduation Cupcakes!!! 1. Pull and Peel the Twizzlers. Using a sharp knife, cut one peel in half. 2. Group the items for each topper. 1 Reese's cup, 1 chocolate square, 1 Twizzler, and 1 mini M&M. 3. Melt a small amount of chocolate chips in a bowl, I used a toothpick to spread the chocolate. Using the chocolate as glue, dip the toothpick in chocolate and spread it on the Reese cup, then top with a Chocolate square. Dip the toothpick again to secure the M&M and Twizzler. 4. Center on top of each cupcake and ENJOY! 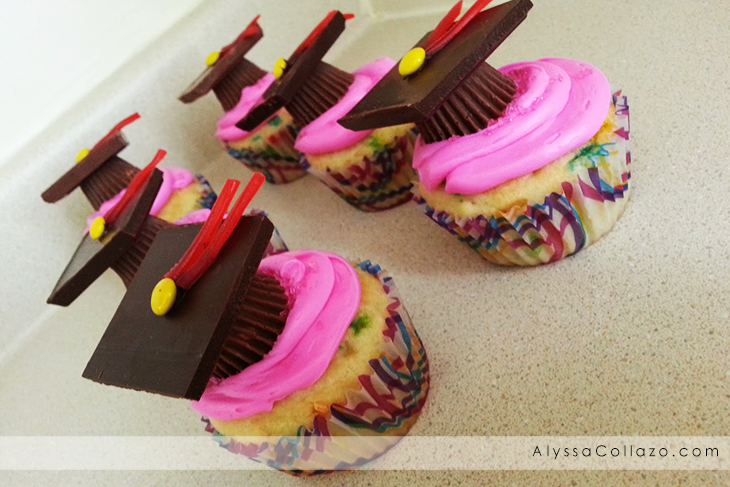 Also a BIG congrats to all of your grads this year, hopefully this cupcake idea will help make their day extra sweet! What a great idea! I am pinning this for next year's kindergarten graduation!! Those are super cute!! And congrats! Totally cute! Told you, you could do it! 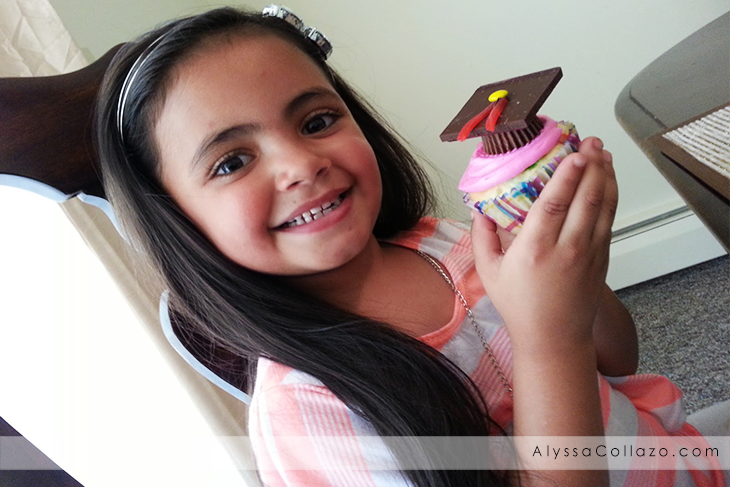 Very adorable for a kindergarten or 8th grade graduation celebration! These are so cute! I am definitely saving this for future grads! These are adorable! Love the mini Reese cups! Those are so cute! No one in my family is moving to a different school this year but I may have to make them anyway - just because.